The ARES I-X test flight vehicle is part of NASA's Constellation Program, developing new systems and vehicles to support the next generation of space exploration. 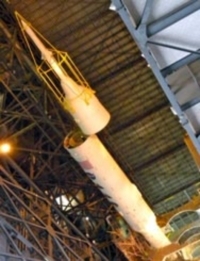 This project required media-blasting of the interior upper-stage simulator segments, constructed at NASA of steel to exemplify the size and weight of an actual rocket. Scheduling was the biggest challenge. While the project was scheduled to be completed within a year, the blasting times were not definitely scheduled. Demand and work load were at NASA's short term discretion as they completed their activities. To manage the uncertainty, Precision adopted a flexible schedule. There were many days of no activity and many other days of double shifts and weekend work that best fit the owner's needs. This schedule was able to be accommodated because of the large size of the Precision workforce and the flexibility that allows us to afford the owner. 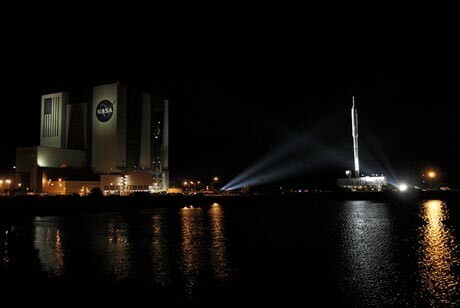 We were very proud on November 2, 2009 when the ARES rocket successfully lifted off and confirmed NASA's mission. Media blasting upper-stage simulator and interior segments for the NASA ARES I-X test flight vehicle.